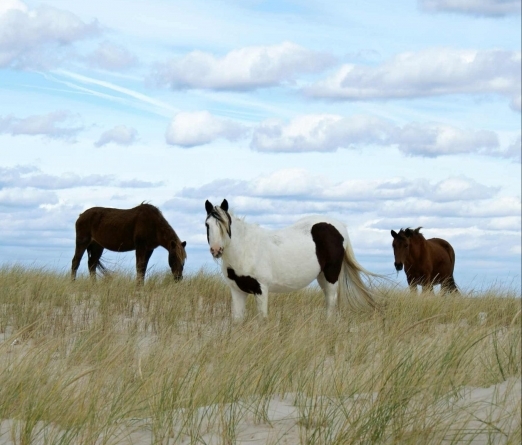 You’ve probably heard the terms “Assateague ponies” and “Chincoteague ponies” used interchangeably, so if you’ve ever gotten the two confused or just flat-out thought that they were the same thing, you’re not alone. If that’s the case, then today you’re going to learn something new! Because the horses are handled by two separate entities–the National Park Service on the Maryland side (your “Assateague ponies”) and the Chincoteague Volunteer Fire Department on the Virginia side (your “Chincoteague ponies,” although they’re technically just on the Virginia side of Assateague Island)–the horses on either side of the barrier are handled separately, too. A fence on the Maryland-Virginia line on Assateague separates the two herds of wild horses. 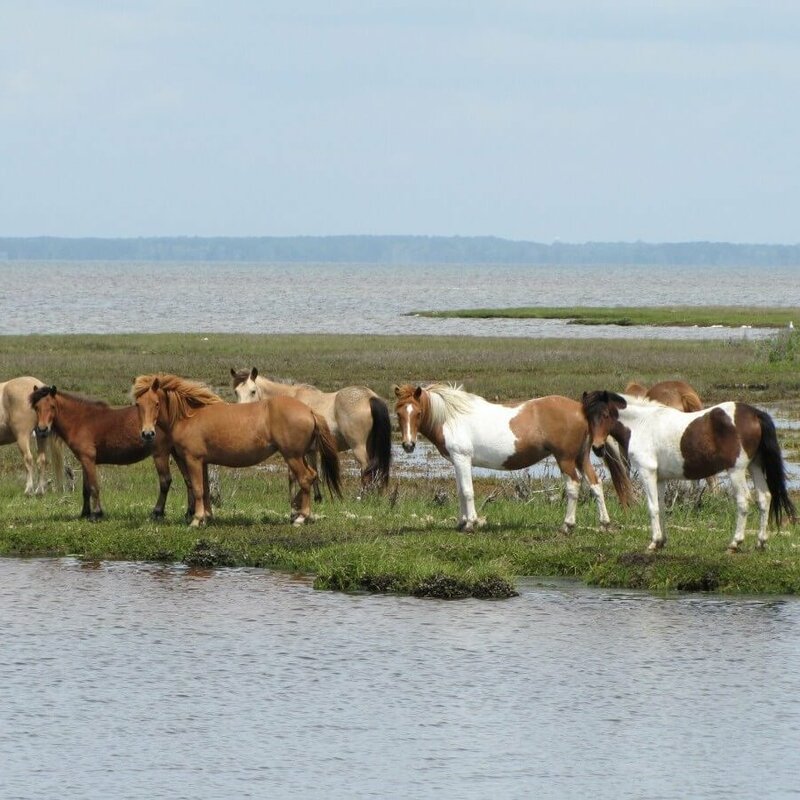 Both herds feature horses of the same short and stocky breed, known as the Chincoteague Pony or the Assateague Horse–but again, don’t let the names confuse you. Genetically, no matter what side of the fence they’re on, the horses are pretty much the same. Since the herds are no different genetically, the major differences between the two lie only in how they’re handled. Today, the Chincoteague Volunteer Fire Department privately owns the Virginia herd. 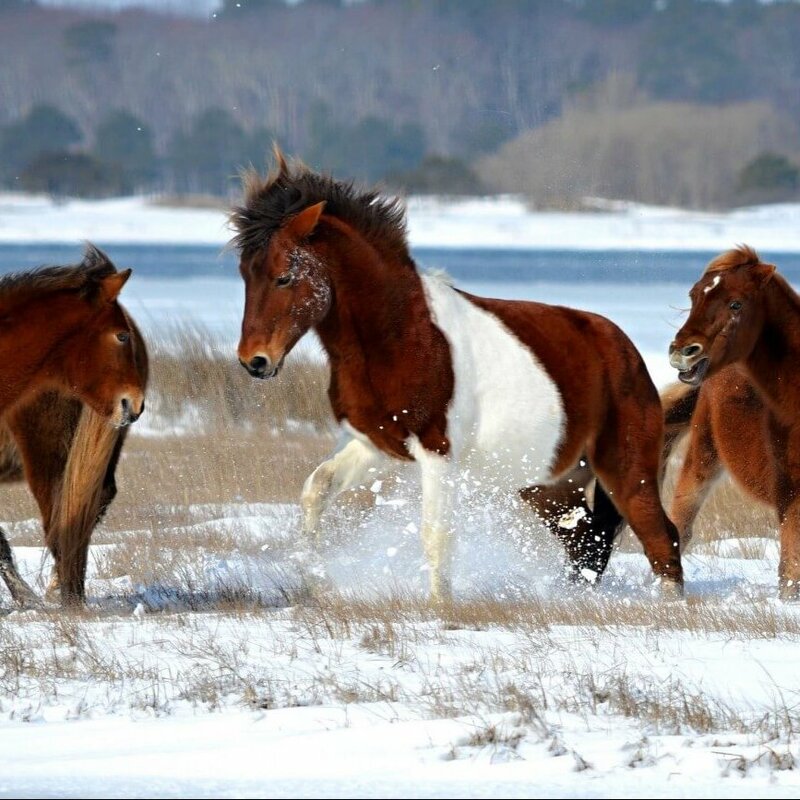 The horses graze on Chincoteague under a grazing permit from the National Fish and Wildlife Service, who owns the land. To continue raising money to this day and to keep the Virginia horse population at 150 or less, as required by the FWS, the yearly pony roundup and auctioning-off keeps the population controlled. The Maryland horses, on the other hand, aren’t included in this auction. They’re managed by the National Park Service as wild animals, so to keep the population under control, the Park Service administers birth control to the mares, who are only allowed to birth one foal each. The current population of the Maryland herd is 90. 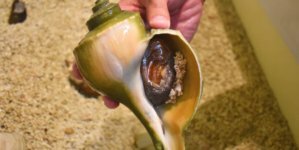 Mares that are on the birth control live an average of 10 years longer, Davis said. 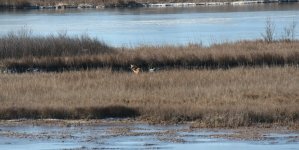 The introduction of birth control to the mares also improved the life of the island and allowed other animal species that use the marshes as their habitat to rebound. Since many of the Chincoteague foals are auctioned off to the public, the Virginia horses are wormed and vaccinated. 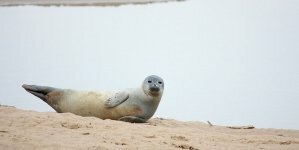 They’re also designated to inhabit specific parts of the island, where they’re provided with food and water. This makes them the tiniest bit larger than the Maryland horses, and they’re also sometimes bred to improve the breed’s appearance. So are either of them ponies? Because the Maryland horses are considered wild animals by the Park Service, they’re left to fend for themselves in the wild. 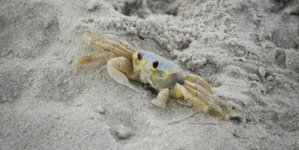 They’re often called “mutts” because their living conditions–i.e., not-so-great food sources on a marshy island–have forced them to adapt through their short and stocky stature. What happens during a major storm? Delmarva is often hit with big storms as summer nears its end, but luckily, the horses can fend for themselves in foul weather, too. 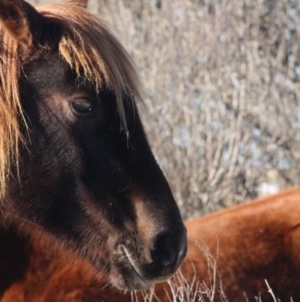 She did say that during a 1992 nor’easter, about a dozen ponies on the north end of the island were lost to the tides–but that’s very rare, and no great losses have happened since. What happens when a horse dies? Though it might sound like a morbid question, it’s not an uncommon one. What happens to a deceased horse’s body? It depends on where the horse dies, Davis said. When horses die of natural causes, they tend to go out on their own, and it’s possible that their body might never be found, or found long after the fact. If a horse dies at or near a campground, park officials will move it to a more remote part of the island and let nature take its course.